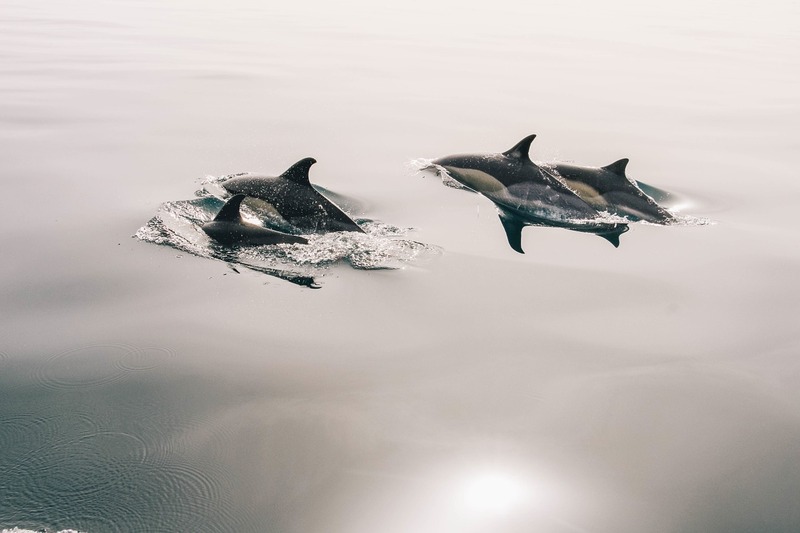 In fact, while the word "dolphin" is often used interchangeably to refer to many different species, dolphins are actually a group of diverse aquatic mammals with differing physical characteristics and habitats. 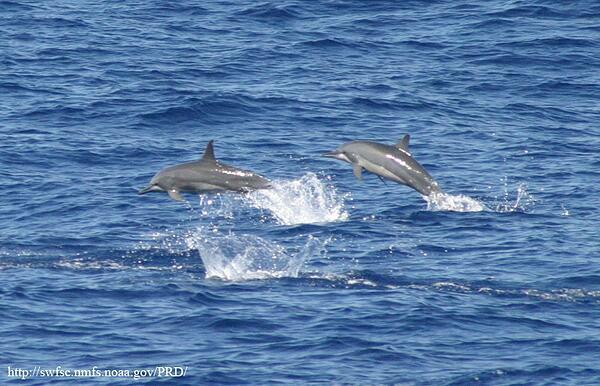 Split between four living families--Delphinidae, Platanistidae, Iniidae, and Pontoporiidae--there are currently dozens identified extant dolphin species, all part of the larger order Cetacea alongside whales and porpoises. Ocean-dwelling dolphins belong to the Delphinidae family, while the handful of river-dwelling dolphins fall in the remaining three families. Although you would likely be able to recognize all living species as dolphins, each does have its own unique features that set it apart from each other. To illustrate, here's a list of 10 interesting dolphin species and some of their distinguishing characteristics (with a more detailed dolphin species list at the bottom). Perhaps the most well-known and well-studied dolphin species in the world, the bottlenose dolphin is likely what comes to mind when you hear the world "dolphin." 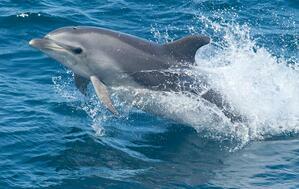 (Indeed, popular culture's most famous dolphin, Flipper, was a bottlenose dolphin.) Characterized by dark gray skin and its namesake short and thick snout, bottlenose dolphins can be found in tropical and temperate waters in the Pacific, Atlantic and Indian Oceans, as well as, the Mediterranean Sea. Also known as the boto or bufeo dolphin, the Amazon River dolphin's most unusual physical characteristic is its skin: as Amazon River dolphins mature, their skin turns from gray to pink. Beyond their pink color, this species is unique for its habitat as it is one of the few to call a fresh-water river home. 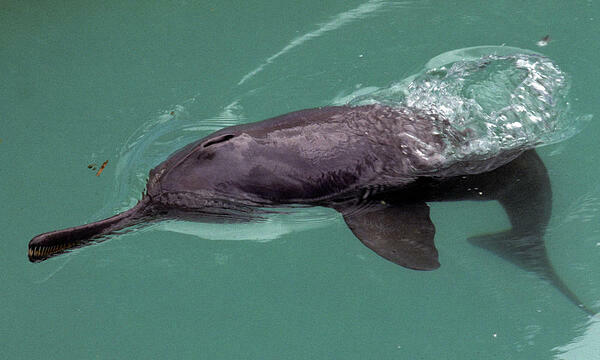 Another fresh-water dolphin, the Ganges River dolphin can be found in its namesake river on the Indian subcontinent. This species' peculiar style of swimming on its side allows it to trail its flipper on the river's bottom, assisting it in finding food. The unique black-and-white pattern of the Commerson's dolphin is the reason for its several nicknames: skunk dolphin, panda dolphin and piebald dolphin. Found off the coast of Argentina and in the southern Indian Ocean, the Commerson's dolphin is usually found by itself or in a small group, but tends to hunt cooperatively. Nicknamed the Monk dolphin by Taiwanese fisherman, the Risso's dolphin exhibits a unique preference for deep water habitats. 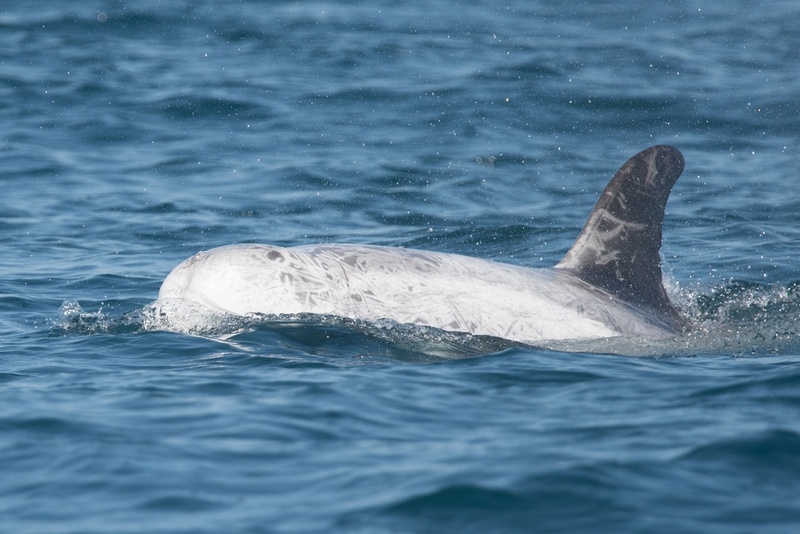 Risso's dolphins feed mainly on squid, and the scars that they receive from their prey leave a peculiar white scarring pattern on most adults of this species. 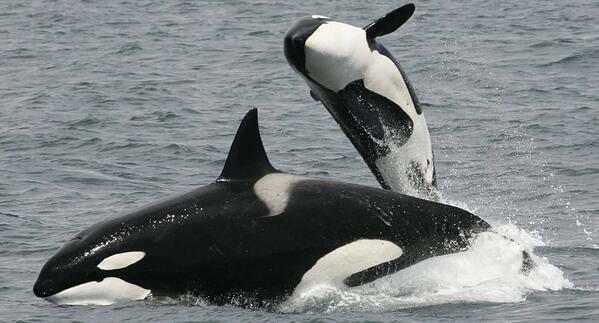 Despite its name, the killer whale or orca is indeed a member of the Delphinidae family. By far the largest dolphin species, killer whales are also among the most social; many orca populations are organized by matrilineal pods that utilize sophisticated hunting techniques and unique vocal behaviors. Found in shallower tropical waters across the globe, the spinner dolphin's name is well-earned: it is one of only two dolphin species that are known to perform spins along their longitudinal axes as they leap out of the water. 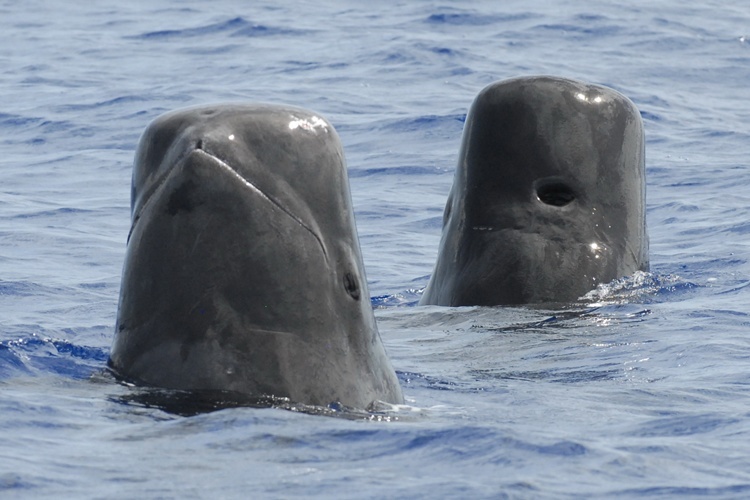 The most distinguishing feature of the short-finned pilot whale (and its close cousin, the long-finned pilot whale) is their head, characterized by a bulbous forehead and lack of a discernible beak. The short-finned pilot whale is highly social, traveling in pods of 15 to 50 and rarely seen alone. First described by French explorers on expedition to the Antarctic in 1824, the hourglass dolphin is small-bodied with unusual black-and-white coloring. 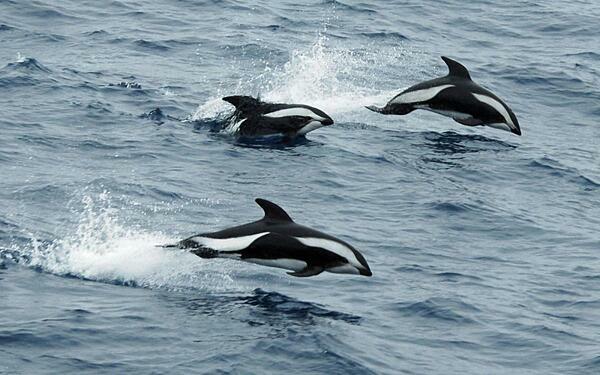 Hourglass dolphins have been observed by people on very few occasions due to their habits and habitat. Striped dolphins are among the most studied of dolphin species, and can be found in tropical and temperate waters around the world. Known for their active acrobatics as they leap out of the water, striped dolphins travel and live in groups of up to the thousands.